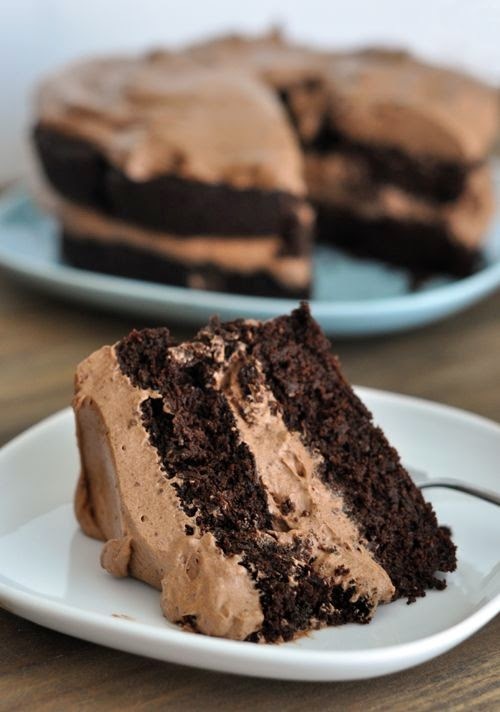 Decadent Chocolate Cake with Whipped Chocolate Frosting | FoodGaZm.. I made this cake a while ago, and it was amazing! The cake was rich, smooth, and you couldn’t hardly taste the quinoa! (though the quinoa that you could taste left a nutty taste that went great with the flavor) My celiac friends and family loved it and were excited that there was something they could eat! The frosting was indescribable, I didnt have enough time to let the frosting sit in the fridge for a few hours so i ended up putting it in the fridge and mixing it every 20 min or so, and it turned out great!